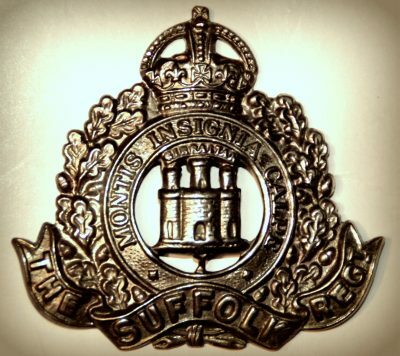 Formerly 2634, Suffolk Cyclist Battalion. 1891 13, Ocean Terrace, Felixstowe, Suffolk. Ernest was 8 months old and living with his parents & siblings. George Anson Bartlett, 34, a Cook, born Southleigh, Oxfordshire. Mary Jane Bartlett (nee Hall), 35, born Pimlico, Middlesex. Ada Elizabeth Bartlett, 13, born Westminster, Middlesex. Emily Louisa Bartlett, 7, born Walworth, Surrey. George Bartlett, 6, born Walworth. Gertrude Annie Bartlett, 4, born Walworth. Sydney Bartlett, 2, born Camberwell, Surrey. 1901 13, Ocean Terrace, Felixstowe. Ernest was 10 years old and living with his parents & siblings. George, 44, a Cook & Confectioner – Hotel. George, 16, a Wine Merchant’s Assistant. Beatrice Maud Bartlett, 4, born Felixstowe. Felix Bartlett, 3, born Felixstowe. 1911 24a, Grayshott Road, Battersea, London. Ernest was 22 years old, a Hairdresser. He was a boarder at the home of his employer, 34 year old, Moss Isaac, a Hairdresser. Jack Anson Bartlett, 1914, Ipswich. Ronald Walter Bartlett, September 1916, Ipswich. Ernest’s father George Anson Bartlett died, 1916, Felixstowe, Suffolk. 1 Pings/Trackbacks for "ERNEST BARTLETT"